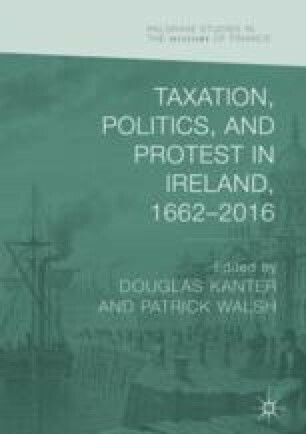 This chapter explores the making of Ireland’s second-class position in the ‘mercantile system’ created by the Restoration-era Navigation Acts and the Irish Customs and Excise Acts of 1662. The role of legislator and Treasury reformer Sir George Downing is highlighted, together with the centralising administration of the 1671 English Customs Commissioners and the 1682 Irish Revenue Commissioners. By the mid-1680s, merchant compliance with the discriminatory English Navigation Code was essentially achieved with the end of revenue farming in Ireland and improved central government enforcement from London. The events are best understood as an episode in seventeenth-century state formation.